Sowell & Co.’s success with uses of land naturally led to an interest in exploring opportunities under the land – oil & gas. The Oil and Gas group of Sowell & Co. creates value through the prudent use of capital timed with Industry knowledge. Sowell & Co. invests both directly and indirectly in many facets of the Oil & Gas Industry. Matador Oil and Gas, with its expansive resources and expertise, occupies a leadership role in a variety of petroleum industry activities. 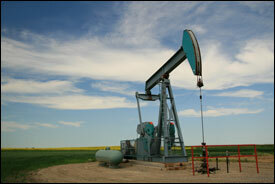 Matador funds land acquisition, testing, exploration, and development of oil and gas resources. 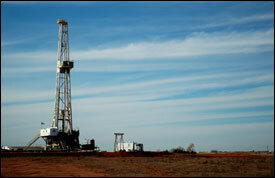 Its exploration activities are in the west and coastal regions of Texas. The company also provides capital for selected investments in mineral interests and existing production operations and acquires production throughout the U.S. and Canada. Sowell & Co. formed an oil and gas property acquisition partnership with two petroleum engineers beginning in 2004. Sowell & Co. had a business relationship with one of these engineers from being a co-investor with his previous employer in 2000. The partnership buys producing oil and gas properties with the goal of improving existing production, lowering costs, and exploiting any non producing acreage or up-hole or down-hole opportunities. Click here to view all Oil & Gas Group prior interests.